Do you love beer? Do your friends love beer? 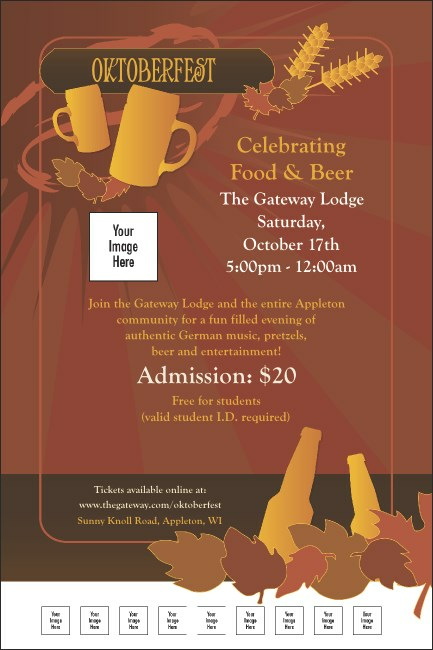 Are you planning an autumn celebration around a mutual love of hops, wheat, malt, and fermented yeast? If so, you're going to need the big Oktoberfest Poster template in red to communicate your love of the world's oldest and most popular alcoholic beverage. Sell your event with big publicity Posters from TicketPrinting.com.